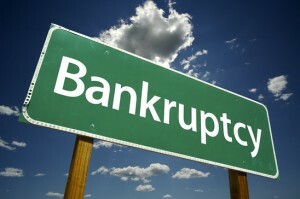 Many carriers will outright decline an applicant who is going through a bankruptcy. Further, many will decline you if not enough time has passed from your BK. This is why it is so important to apply with the right company from the start. At TermLife2Go, we work with the top rated best life insurance companies and top rated no physical exam life insurance companies. We know each company’s niche and help guide our clients looking for life insurance with a bankruptcy to the right company that is the most BK friendly in the marketplace. Give us a call today to see just what we can do for you! Why life insurance companies care if I had a previous bankruptcy. What options do I have as someone who is shopping for life insurance with a bankruptcy on their record. How do I find the best quotes available for someone with a previous bankruptcy? Why do life insurance companies care if I’ve had a bankruptcy? Decide if they want to invest the time, money and energy in reviewing an applicant’s life insurance application from the get go. Life insurance companies have access to an enormous amount of statistical data associated with those who have had a previous bankruptcy. And when this information is applied to the masses, it can be extremely useful when deciding who they should insure, and at what price they should insure these individuals. Is your application worth the time and energy? Probably the best thing about applying for life insurance for the consumer is… it’s free! Apply risk free without having to incur any type of cost. You’re not going to have to pay for a medical exam. You’re not going to have to worry about getting your own medical records. You won’t need to request your driving record. Or even commit to accepting a life insurance policy once one is offered! Fact is, by applying for life insurance all that one is doing is committing to the steps necessary to find out what it would actually cost should you decide that you do in fact want to get insured! For the life insurance company however, your application means something totally different. In fact, when you decide to apply for life insurance, the process can actually be quite expensive for the life insurance company. – A criminal background check. – Medical records release from your doctor/s. – Plus the hourly wages of a sales team, the underwriting department as well as an enormous support staff to make the process of applying for life insurance seem quick and easy! The cost of all of which can only be recouped after you’ve been approved for a life insurance policy and then decide that you actually want to purchase the life insurance policy. You’re still not charged anything for applying! Which means that in order for the life insurance company to earn a profit, your policy will need to stay “inforce” for up to several years! Let’s assume that you’re a health individual, in your mid 30’s without any major health conditions. If you decide to buy a $250,000 dollar life insurance policy, the cost is going to be really inexpensive! Yet, the cost to the insurance company to underwrite and approve your life insurance application is going to stay the same! Now this really isn’t such a big deal, because let’s face it, you’re young, health and statistically speaking, very unlikely to pass away any time soon, but what if you quit making your payments? Which brings us to why life insurance companies are interested in whether or not you’ve had a bankruptcy. Insurance companies know that when things get tight, extraneous expenditures like life insurance are one of the first things to get cut from a family’s budget. So unless you’ve kept your policy in place for several years, the insurance companies have assumed a huge risk yet earned nothing. Translation: Bankruptcies hurt insurance companies profit margins! Therefore many insurance companies have made a “financial” decision to underwrite those with bankruptcies on their record differently than those without bankruptcies! What else can insurance companies learn about someone who has had a bankruptcy? Nearly 46% of all bankruptcies are related to some outstanding medical condition. 20% of those filing for bankruptcy hold a bachelor’s degree or higher. Nearly 60% of those who file have a salary of less then $30,000. And nearly 64% of all bankruptcies were filed by married couples. Now with this in mind, it’s pretty easy to see why insurance companies get nervous about folks with bankruptcies. What medical issue caused the bankruptcy? Do you have a pre-existing condition? Find out how we go the extra mile to get you insured for the best price available. Is the applicant bogged down with student debt which would make him/her less likely to keep their policy “in force”? If this applicant is earning less than $30,000 annually, can they really afford the amount of coverage they are seeking? Are also some of the most conservative when it comes to dealing with those who have had a previous bankruptcy. In fact one of the nation’s largest life insurance carriers in the country currently has a zero tolerance for anyone who has had a bankruptcy within the past 2 years. This zero tolerance is something that is relatively new to the industry and has cause quite a bit of turmoil within the industry for many insurance agencies who simply don’t have an alternative option for these otherwise healthy individuals. So Can I get life insurance after filing bankruptcy? The good news is that as some of the “major” life insurance companies have chosen to no longer insure those with bankruptcies on their record, other highly rated insurance companies have seized this opportunity to fill the need within the market place that this has created! Which means that even if you’ve been told that you don’t qualify for traditional term or whole life insurance because of your current or prior bankruptcy, is may not be the case! Often, you can get life insurance after filing bankruptcy. The key is going with an agency that represents a complete list of life insurance companies so you have choices. You need a company that understands niches. At TermLife2Go we know niches! Our promise to you is that if we’re reasonably sure that we can help, we’re not going to waste your time! Our goal here at TermLife2Go is to get you and your family the best type of life insurance policy available for you, not just quote you something you’ll never be able to qualify for! So what are you waiting for? Just give us a call or simply click on the free quote link to see just what we can do for you! We filed bankruptcy due to inevitable conditions of losing estate and time…other than this we have not missed any payments to anybody or anywhere…I am 60 years old and very much interested to do life insurance for my family…I have not missed any payments like car or any bills and on prompt and on regular income. Please guide me. We’ll need some additional information in order to get you a quote. One of our agents will reach out or you can call us at 888-234-8376. My wife and I filed bankruptcy due to a gross drop in income. But what contributed more to the situation was we were in the middle of changing banks and things ended up getting delayed and messed up. The policy I had ended up lapsing so I filed for a new policy. Up until this lapse happened we had been current in making our payments even though things were tough. I’m 60 years of age and keeping my life insurance carried as much weight as paying my mortgage. We’re staring to get back on our feet and I want to get coverage but it’s been very difficult because of the bankruptcy. Where can I go to to get covered?? We’re sorry to hear about your situation and glad that things are beginning to improve for you and your family. We’ll be sure to have an agent reach out to you ASAP so that they can review your options with you and see if we might have a option that will work. I am interested in getting a 15 year life insurance policy. I am 66 years old, working full time and filed for bankruptcy this year. Will filing for bankruptcy disqualify me from obtaining life insurance? The only reason why we ask about bankruptcies is because there is one major life insurance company that we know of that won’t insure anyone who has a bankruptcy on their record within the past 24 months. The good news is that in addition to offering policies from this company, we also offer policies from nearly 40 other carriers as well. Which means that as long as we avoid this carrier, we shouldn’t have an issue. So… why don’t you just give us a call when you have a chance and we’ll price out a few options for you and see if we have anything that will work for you. Previous Post: Bundling my life insurance policy cost me thousands of dollars!